We will not have Sunday services tomorrow, January 10, 2016, due to a combination of factors. 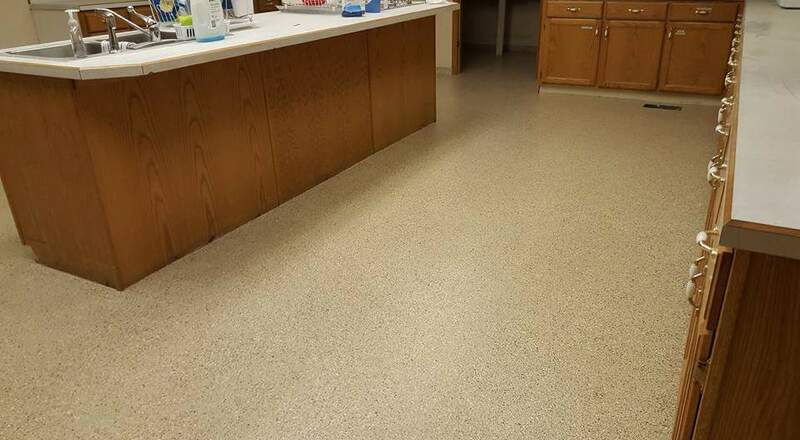 Yes, the snowfall has made things difficult, but beyond that, our floor renovation has required two coats of polyurethane to be put on the floor below the Sanctuary. 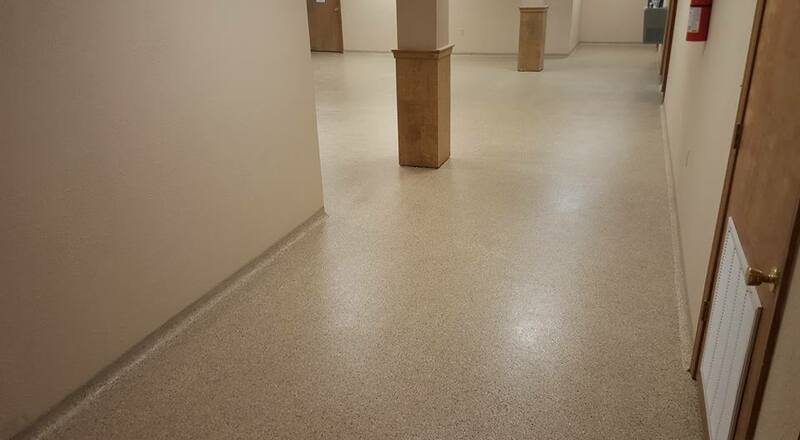 The strong odor from the application of the polyurethane is VERY strong right now. But both applications have now been applied! We apologize for the inconvenience this process has caused, and we appreciate everyone’s understanding. We will get the building aired out and all set up this coming week. Everything should return to a normal schedule next Sunday, January 17! Thanks again for your understanding. Stay safe and warm, and have a great weekend! Progress: New Floor on Mid-Level being Installed! Great progress has been made this week on installation of our new floor on the mid-level of the building. 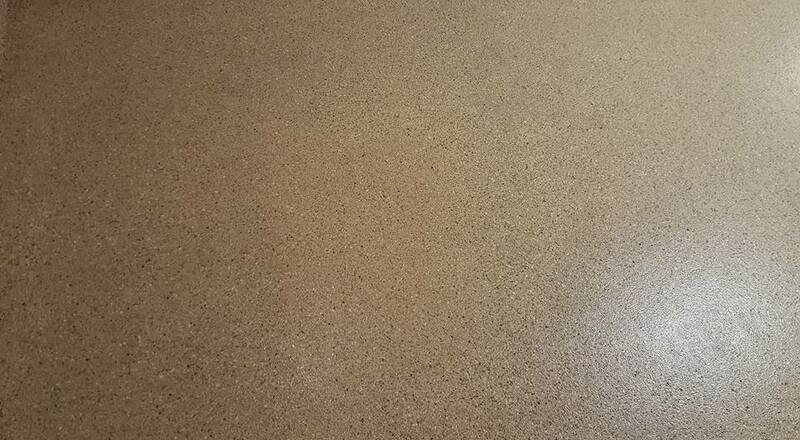 The process of putting down the Epoxy Floor (also called a “poured floor”) requires application of two coats of polyurethane, hence a very strong odor. 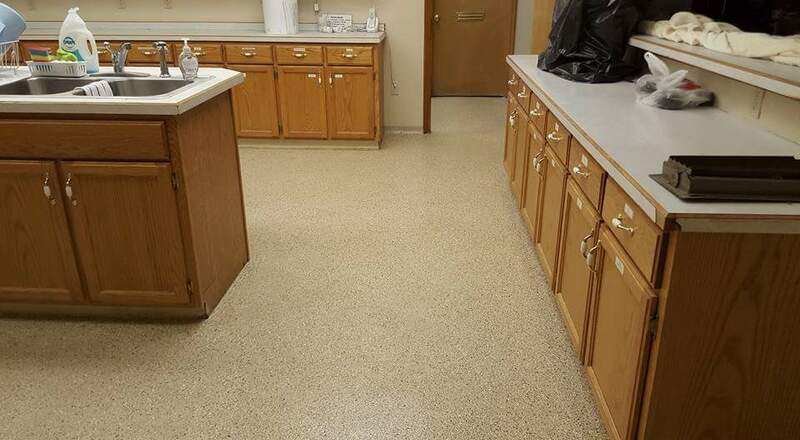 As a result of that, we paused installation of the floor after the Large Fellowship Hall was finished because we did not want our Christmas Events to be hampered due to the strong odor. 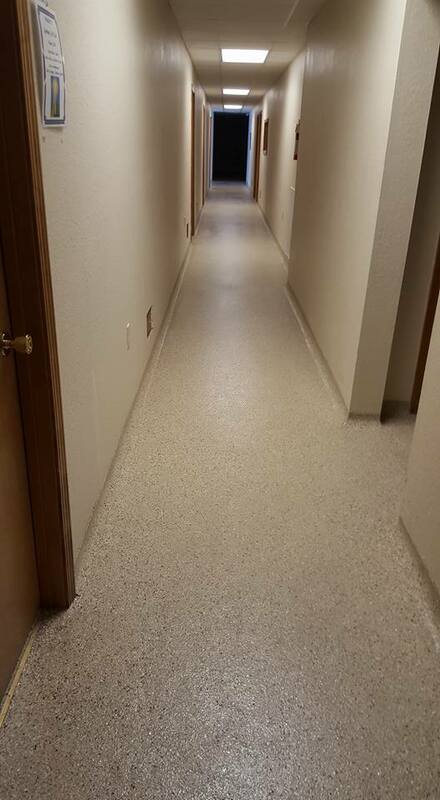 Installation resumed this week, and the kitchen, office hallway and bathrooms off that hallway are now finished! Thanks to the tremendous work of Aaron Jacobson, we have a new website! Aaron created our original website as well. But he has created this one using WordPress. It will be much easier to keep updated with news and information. It’s pretty basic right now as far as information. But we will be adding to it steadily in the days ahead. I hope you will come here often and use the pages here to learn more about Cornerstone and to grow in your faith.